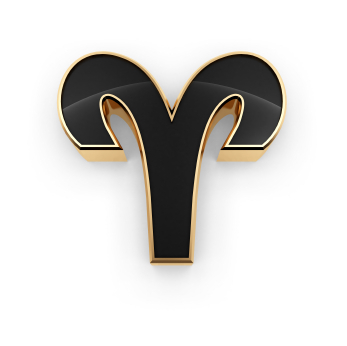 The Moon enters Aries at 9:48 PM EST today. The early morning starts off with a bang as Mercury in Pisces opposes retrograde Mars in Pisces. This aspect can indicate that we’re pissed off about something and want to offload on others, or else we’re so confused we get into tangles because no one understands what we’re trying to explain and misinterprets it. Oppositions can bring us confrontations that reflect conflicts within ourselves, but which seem to be occurring outside of us. A Sun-Juno square can make relationships a little tense. Add a Moon/Saturn stress aspect that tosses defensiveness and a feeling that we don’t measure up or that others aren’t being fair into the mix and we can get bogged down this evening. However, the Moon leaves Pisces and moves into Aries at 9:48 PM EST so we may feel a burst of energy and enthusiasm as the day winds down. Both of these Symbols feature those who rely on their connections with others in order to accomplish something. The military commander needs his soldiers to mount a campaign; the church relies on its parishioners and all who donate to support the church. Both also focus on long-range goals and planning–the military commander is protecting or expanding the Empire; the church will use proceeds of the bazaar to assist the needy. Both exist in relationship to the culture of the times and its social norms and act within those norms. Victor Fleming, Cesar Ritz (hotelier), Emily Blunt, Niecy Nash, Neil Jordan, Aziz Ansari, Patricia Richardson, Tokugawa Tsunayoshi (Japanese Shogun), Victor Yushchenko, Josiah Hornblower, Kazimar Malevich, William L. Shirer, Karl Jaspers, W.E.B. Du Bois, George Watts, Vasily Lazarev (cosmonaut), Mayer Amschel Rothschild, George Friedrich Handel, Samuel Pepys, Paul II (Pope), David Sylvian, Howard Jones, Ed “Too Tall” Jones, Brad Whitford (walks that way), Shakira Caine, Rusty Young (Poco), Johnny Winter, Peter Fonda (an easy rider), Diane Varsi, Tom Wesselman, Johnny Seven, Elston Howard, Dakota Fanning, Stephanie Seymour, Michael Dell, Bobby Bonilla, Reza Abdoh, Gloria von Thurm un Taxis (formerly rowdy royalty), Crown Prince Naruhito (Japan), Kristin Davis. What is our relationship to the material world? To social norms and values? How are we connected to that world? Do we need to alter our perspective in order to find what is most valuable, that will turn out to be our legacy to the future?